We have expertise in manufacturing, exporting, wholesaling and supplying an exclusive range of Printed Running Fabric. Our well-experienced expert's design this running fabric at our finest fabricating unit. We take the complete requirements before designing this running fabric. This running fabric is examined on quality parameters for making certain its quality & provided at pocket-friendly rates with special discount. Hand block Printed Mughal Buta prints fabric. these are traditional buta prints.Multi uses. Dress meteriyal. we mfg. this type mugal buta for our clints requirements. 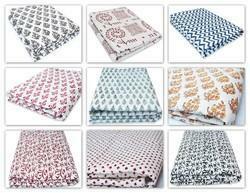 We are manufacturers of Cotton Block Printed Fabric. we offer is widely acclaimed amongst the clients for its availability in designs, colours and patterns. Offered Cotton Fabric is known for its colour fastness nature and can be washed easily. 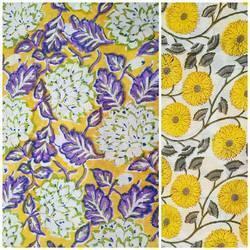 We are manufacturers of Hand Block Print Fabric Cotton Fabric. We offer is widely acclaimed amongst the clients for its availability in designs, colours and patterns. Offered Cotton Fabric is known for its colour fastness nature and can be washed easily. 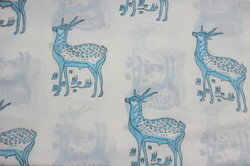 We are manufacturers of Hand Block Print Cotton Fabric New Print Pure Cotton. We offer is widely acclaimed amongst the clients for its availability in designs, colours and patterns. 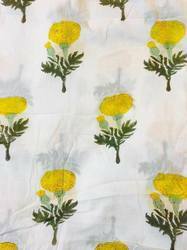 Offered Cotton Fabric is known for its colour fastness nature and can be washed easily. Block Print Fabric Pure Cotton. 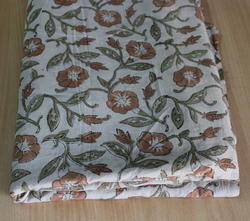 Cotton Block Printed Fabric. pure cotton. we makes in these block prints . we are mfg in these products. our moto clints satisfucations. 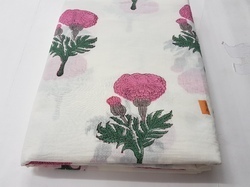 Hand block printed fabric, we makes a quality block printed in our factory, our moto clints satisfactions and honesty, we make all type block printed fabric in cotton and reyan. please contact me . 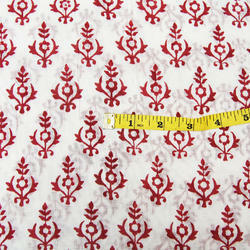 We are into offering a quality tested array of Red Jaipuri Fabric. It is widely demanded amongst the clients for its availability in various sizes and designs. These products are made by using quality fabric which is sourced from leading vendors of the industry. 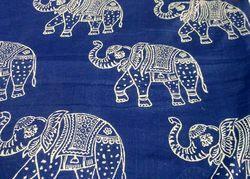 Cotton Block Printed Indigo Fabric. pure cotton. we makes in these block prints . we are mfg in these products. our moto clints satisfactions. We are manufacturers of Animal Print Hand Block Fabric. We offer is widely acclaimed amongst the clients for its availability in designs, colours and patterns. Offered Cotton Fabric is known for its colour fastness nature and can be washed easily. 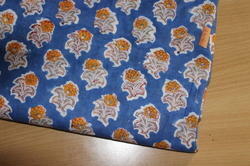 We are manufacturers of the Jaipuri Print Cotton Fabric. We offer is widely acclaimed amongst the clients for its availability in designs, colours and patterns. Offered Cotton Fabric is known for its colour fastness nature and can be washed easily. Owing to a long-term destination for our business, we are engaged in offering a wide gamut of Hand Block Printed Cotton Fabric Quilt. Our given fabrics are accessible from us in numerous sizes, designs & colors as per the demand of customers. The offered fabrics are designed from the superior quality of material in compliance with the set standards of quality. 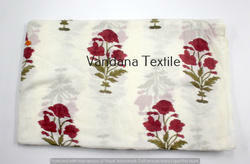 These fabrics are well known in the market for its long lasting quality. 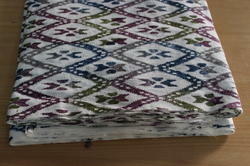 Hand-carved block printed fabric from India made using the traditional method of printing with carved wood print blocks. All vegetable natural or non-toxic pigment dyes used. The beautiful art of block Printing employs wooden or metal blocks to print designs and patterns on fabric by hand. What makes block Printing unique is that the design has to be created by the artist before the Printing begins. It is carved onto the block by hand. The carved block is dipped into the required color . 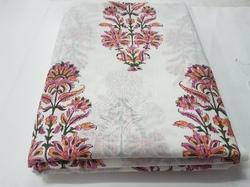 We are manufacturers of White Hand Block Print Fabric. We offer is widely acclaimed amongst the clients for its availability in designs, colours and patterns. Offered Cotton Fabric is known for its colour fastness nature and can be washed easily. 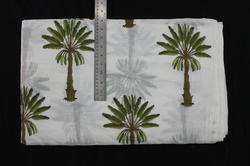 We are manufacturers of Hand Block Print Fabric. We offer is widely acclaimed amongst the clients for its availability in designs, colours and patterns. 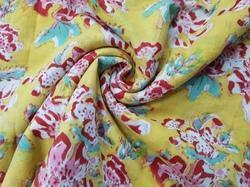 Offered Cotton Fabric is known for its colourfastness nature and can be washed easily. 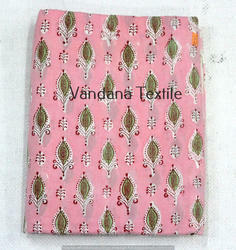 indian hand made block print fabricCotton Block Printed Fabric. pure cotton. we makes in these block prints . we are mfg in these products. our moto clints satisfucations. 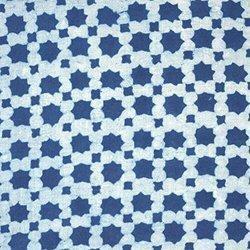 We are manufacturers of the Jaipuri Block Print Floral Fabric. We offer is widely acclaimed amongst the clients for its availability in designs, colours and patterns. Offered Cotton Fabric is known for its colourfastness nature and can be washed easily. 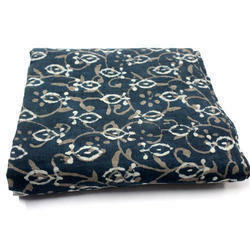 We are manufacturers of the Jaipuri Block Printed Cotton Fabric. We offer is widely acclaimed amongst the clients for its availability in designs, colours and patterns. Offered Cotton Fabric is known for its colour fastness nature and can be washed easily. 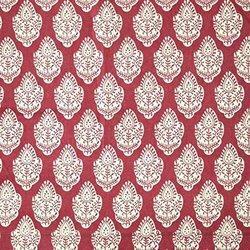 We are manufacturers of the Jaipuri Hand Block Print Fabric. We offer is widely acclaimed amongst the clients for its availability in designs, colours and patterns. Offered Cotton Fabric is known for its colour fastness nature and can be washed easily. We are manufacturers of Fabrics. 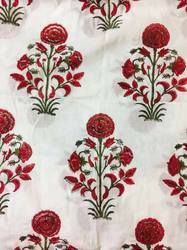 The Jaipuri Print Cotton Fabric we offer is widely acclaimed amongst the clients for its availability in designs, colours and patterns. Offered Cotton Fabric is known for its colourfastness nature and can be washed easily. 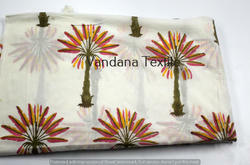 We are manufacturers of Printed Fabric. We offer is widely acclaimed amongst the clients for its availability in designs, colours and patterns. Offered Cotton Fabric is known for its colourfastness nature and can be washed easily. 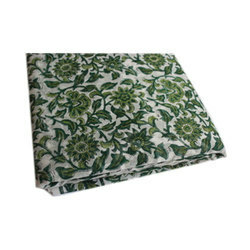 Cotton Block Printed Fabric Cotton Block Printed Fabric. pure cotton. we makes in these block prints . we are mfg in these products. our moto clints satisfucations. Hand Painted Sibori Fabric Pure cotton as nice Looking after Reddy in dress.Hand Painted Sibori Fabric Pure cotton as nice Looking after Reddy in dress. 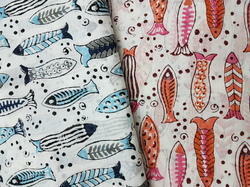 We are manufacturers of Fish Print Hand Block Printed Cotton Fabric. We offer is widely acclaimed amongst the clients for its availability in designs, colours and patterns. Offered Cotton Fabric is known for its colour fastness nature and can be washed easily. 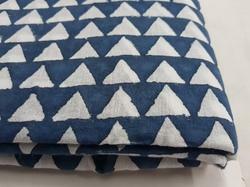 We are manufacturers of Indigo Dabu Printed Fabric. We offer is widely acclaimed amongst the clients for its availability in designs, colours and patterns. Offered Cotton Fabric is known for its colourfastness nature and can be washed easily. 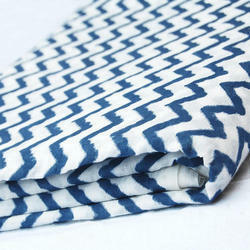 We are manufacturers of Pure Cotton Hand Block Printed Fabric Butik Print. We offer is widely acclaimed amongst the clients for its availability in designs, colours and patterns. Offered Cotton Fabric is known for its colour fastness nature and can be washed easily. 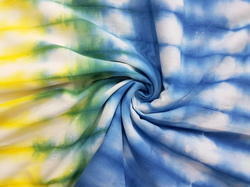 We are manufacturers of Tie Dye Printed Cotton Hand Block Print Fabric. We offer is widely acclaimed amongst the clients for its availability in designs, colours and patterns. 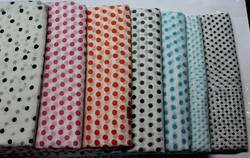 Offered Cotton Fabric is known for its colourfastness nature and can be washed easily.